orchestra leader Raymond Scott was born in Brooklyn. 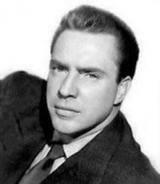 He was musical director of NBC’s Your Hit Parade (both radio & TV versions) through most of the 1950’s. On this day in 1915, actor Edmond O’Brien was born in New York City. He played private eye Johnny Dollar on radio, and lawyer Sam Benedict (plus scores of guest roles) on TV. On this day in 1933, vaudeville star Jimmy Durante made his first appearance on Eddie Cantor’s “Chase and Sanborn Hour,” and continued to perform on the NBC Radio program until November 12. When Cantor departed, Durante took over the show as its star from April 22 to September 30, 1934. On this day in 1934, TV journalist Charles Kuralt was born in North Carolina. He is best remembered for the “On the Road with Charles Kuralt” feature pieces for CBS-TV, and as the first host (for 15 years!) of “CBS News Sunday Morning” (1979-94). On this day in 1935, “I’m Popeye the sailor man…toot! 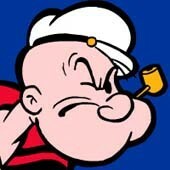 toot!” Popeye debuted on NBC radio as a 15 minute, three-times-a-week feature. But instead of spinach giving him strength (as in the comics and cartoons), it was the sponsor’s breakfast cereal Wheatena. “Wheatena’s me diet / I ax ya to try it / I’m Popeye the Sailor Man”. On this day in 1939, Prime Minister W.L. 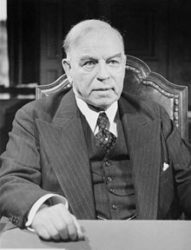 Mackenzie King took to the radio to announce that Canada was now at war with Germany. Canada was making her own declaration of war for the first time, after remaining neutral for a week after Britain declared war. In 1945, singer Jose Feliciano was born in Lares, Puerto Rico. His flamenco-flavoured versions of rock hits such as the Doors “Light My Fire,” which made the top five in 1968, and the much-recorded “Hi-Heel Sneakers” have given Feliciano worldwide popularity. His rendition of “The Star-Spangled Banner” at the fifth game of the 1968 World Series in Detroit caused quite a stir. Feliciano was one of the first Western singers to appear in Communist Bloc countries, and continues to perform all over the world. On this day in 1948, Mildred “Axis Sally” Gillars was indicted for treason in Washington, DC. The US-born Gillars was a Nazi radio propagandist during World War II. She was convicted and spent 12 years in prison. 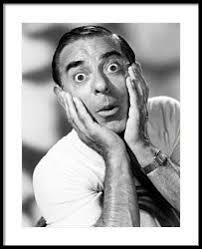 On this day in 1950, comedian/singer Eddie Cantor moved from radio to television, as he hosted the Colgate Comedy Hour on NBC TV. In addition to Cantor, other hosts of the Colgate Comedy Hour included: Fred Allen, Donald O’Connor, Bob Hope, Gordon MacRae and Jimmy Durante. On this day in 1955, Bert Parks began a 25-year career as host of the Miss America Pageant on NBC. The show became a TV tradition as Parks sang to the newly-crowned beauty queen, “There She is … Miss America”. It was heard for the first time on this day. Also this day in 1955, actor James Arness brought Marshall Matt Dillon to life as Gunsmoke debuted on CBS-TV. It went on to become the longest-running (20 years) series on television. Gunsmoke had already enjoyed a radio run of three years with William Conrad playing Marshall Dillon before the TV version went on the air. The two ran simultaneously for six more years. On this day in 1956, record stores were swamped with requests for Elvis‘ “Love Me Tender” which had not yet been released. 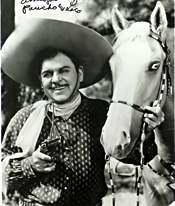 who portrayed Pancho on TV’s The Cisco Kid, died of cancer at age 81. In 1962, the BBC banned Bobby ‘Boris’ Pickett and the Crypt Kickers’ single ‘Monster Mash’ saying it was offensive. The single went on to be a UK No.3 pop hit after the ban was lifted in 1973. Also in 1962, Gene Pitney‘s single “Only Love Can Break Your Heart” was released. In 1963, radio station CFWB AM1490 Campbell River signed on with 250 watts. Also in 1963, during a chance meeting between The Rolling Stones with Paul McCartney and John Lennon at Studio 51 Jazz Club in London, the two Beatles played the Stones their partly finished song ‘I Wanna Be Your Man’ which the Stones would later record. Still in 1963, The London Daily Mirror published a two-page article about The Beatles. Written by Donald Zec, the feature was entitled ‘Four Frenzied Little Lord Fauntleroys Who Are Earning 5,000 Pounds A Week.’ The article provided a major boost to their career. On this day in 1964, Rod Stewart recorded his 1st single “Good Morning Little Schoolgirl.” Future Led Zeppelin bass player John Paul Jones played on the session. On this day in 1965, NBC”s The Jack Paar Show” (the weekly hour-long prime time version) had its final broadcast. The studio audience consisted of one: Jack’s dog. Also in 1965, The Byrds continued working in a Hollywood studio on ‘Turn! Turn! Turn!.’ Unlike their first hit, ‘Mr. Tambourine Man’, members of the group itself were permitted to play instead of session musicians. 78 takes had been completed by the time recording ended Sept. 16. 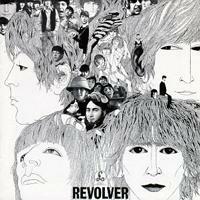 On this day in 1966, the Beatles‘ “Revolver” album went #1 and remained on top for 6 weeks. In 1967, Elvis Presley, still looking for his first Top 10 hit in more than two years, recorded ‘Guitar Man’ and ‘Big Boss Man’ at the RCA studio in Nashville. Neither track would return Elvis to the top of the charts. In 1968, The Beatles were at No.1 on the UK singles chart with ‘Hey Jude’, the group’s 15th UK No.1 and the longest chart topper ever at seven minutes and ten seconds. On this day in 1973 BBC Radio banned The Rolling Stones single ‘Star Star’, from their Goat’s Head Soup album because it contained the word “Star-fucker” in the chorus a dozen times. 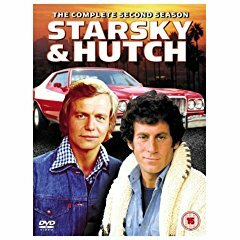 On this day in 1975, the first episode of “Starsky and Hutch” aired on ABC. In 1978, Canadian songwriter Ernest Seitz died in Toronto at age 86. Seitz’s best-known song is ”The World Is Waiting for the Sunrise,” which he composed in 1918 at a Toronto pub, the Bradgate Arms. The lyrics were written by London, Ontario-born actor Gene Lockhart. Les Paul and Mary Ford had a million-seller with the tune in 1951. Seitz, born in Hamilton, was also a renowned classical pianist and taught for 30 years at the Toronto Conservatory of Music. In 1979, having waited five years to finally get two #1 American singles in a row, ABBA embarked on their first North American tour. The first gig was Sept.13th at Edmonton, followed by Vancouver two days later and Seattle Sept. 17th. In 1983, Vancouver’s multi-cultural CJVB 1470 became the first Vancouver radio station to broadcast in AM stereo. Also in 1983, former Stevie Wonder guitarist Michael Sembello started a two week run at No.1 on the Billboard singles chart with ‘Maniac’. The track was featured in the film ‘Flashdance’. Also in 1984, the Federal Communications Commission relaxed the US ownership rules. Henceforth broadcasters would be allowed to own 12 AM and 12 FM radio stations. The FCC’s previous limit was 7 of each. In 1985, a New York radio station auctioned the black lace top that Madonna wore in the movie “Desperately Seeking Susan.” The auction was held to raise money for a local musician injured in a firebombing. On this day in 1988, the CTV Network switched from ground microwave to satellite transmissions for its program distribution. Also in 1988, Guns N’ Roses started a two week run at No.1 on the Billboard singles chart with ‘Sweet Child O’ Mine’, the group’s first US chart topper. The successful NBC sitcom would continue for six years. Also in 1990, Jessica Tandy and her Canadian-born husband Hume Cronyn, who co-starred in the early TV full-colour sitcom “The Marriage,” received National Medals of the Arts at the White House, along with B.B. King and Beverly Sills. In 1991, Nirvana’s best-selling single ‘Smells Like Teen Spirit’ was released in the US. In 1992, the CRTC approved the sale of Vancouver AM multicultural radio station CJVB from founder Jan van Bruchem to the Fairchild Radio Group. In 1993, the soon-to-be-hit series “The X-Files” made its debut on Fox. On this day in 1994, the Vancouver-produced cartoon Reboot debuted on ABC. It was created with advanced computer animation. 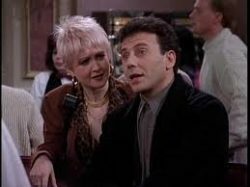 won the Emmy Award for Outstanding Guest Actress in a Comedy Series for playing Mary Ann in “Mad About You”. Other top honors went to Candice Bergen, NYPD Blue, ER, and Frasier. Also in 1995, Kiss opened their 117 date Alive World Tour at the Chattanooga Memorial Auditorium in Tennessee. Also in 1998, singer Mac Davis helped to unveil his new star on the Hollywood Walk of Fame. In 1999, Star! launched as Canada’s first cable TV channel totally devoted to the entertainment industry. Most of its programming originated from E! in the U.S.
Also in 1999, Paul McCartney made the gossip columns after being seen at a New York City party minus one of his front teeth. Seems a crown had broken off when he was eating. He’d lost the tooth in a motorcycle accident in 1967. On this day in 2000, NBC’s “The West Wing” won a record nine Emmy awards. On this day in 2004, Bruce Springsteen presented the John Steinbeck Award, which honors outspoken artists, to Sean Penn in San Francisco. The Boss received the award himself in 1996. On this day in 2005, Grammy-award winning guitarist and singer Clarence ‘Gatemouth’ Brown died in Texas of lung cancer at age 81. 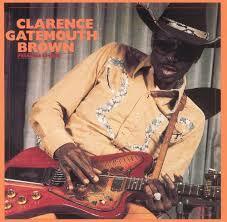 He had recorded with Eric Clapton, Ry Cooder and Frank Zappa during a career that spanned 50 years. Also in 2005, in the wake of the devastation to New Orleans by Hurricane Katrina, Green Day, U2, Audioslave, 3 Doors Down, Staind, Kid Rock, Mötley Crüe, Dave Matthews Band and Nine Inch Nails performed live on MTV, MTV2, VH1, VH1 Classic and CMT. The telethon raised funds for the American Red Cross and other relief organizations. On this day in 2006, The Browns – Maxine, Bonnie and Jim Ed – reunited for a benefit performance for a hospice in Russelville, Arkansas. They hadn’t appeared together in their home state in 40 years. Also in 2006, a grand piano signed by Eagles singer-guitarist Glenn Frey and Sting (among others) was auctioned off in the Vancouver suburb of Richmond. Proceeds went to the David Foster Foundation, in which the Victoria-born producer helps fund organ transplants for children. Still in 2006, an animated version of Metallica helped kick off the 18th season of The Simpsons on FOX TV. James Hetfield, Lars Ulrich, Kirk Hammett and Robert Trujillo had recorded their lines the previous year. Also in 2007, Vancouver Island’s most famous export Pamela Anderson‘s ex-husband Kid Rock was involved in an alleged assault on drummer Tommy Lee, another Anderson ex. Police interviewed witnesses to a tussle involving the pair at the MTV Music Video Awards in Las Vegas. Lee was removed from the ceremony while Rock, was allowed to stay. 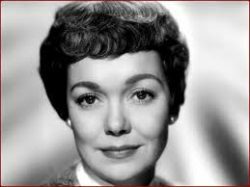 On this day in 2010, Toronto-born voice actress Billie Mae Richards, who played “The Kid” (a boy) on CBC Radio’s hit series “Jake & the Kid”, who was often the voice of Rudolph the Red Nosed Reindeer, and played Brightheart Racoon on the Care Bears TV series, died following a series of strokes at age 88. 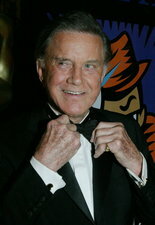 In 2011, actor Cliff Robertson (below), whose TV work began with the live space adventure show Rod Brown of the Rocket Rangers (1952-54) and ended with the shortlived Lyon’s Den in 2003, died of natural causes at age 88. In 2012, actor Lance LeGault, who had recurring supporting roles in the TV series Werewolf, Magnum PI, The A-Team, and Airwolf, died of heart failure at age 75. In 2013, local Emmy-winning newscaster John Hambrick, who anchored over a 35-year career in Houston, Cincinnati, Cleveland, New York, Miami, Los Angeles, and San Francisco, and ended up with guest acting roles in such series as NBC-TV’s Friday Night Lights, succumbed to lung csncer at age 73. 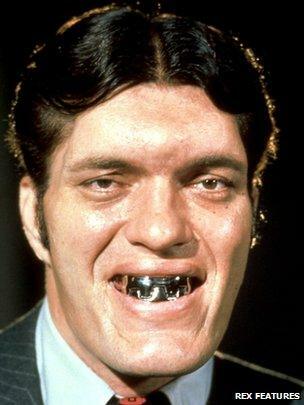 In 2014, actor Richard Kiel who cornered the market on playing giants, intimidating henchman, bayou swamp monsters and steel toothed villains, on TV shows such as The Man From U.N.C.L.E., The Twilight Zone, The Wild, Wild West and Kolchak: The Night Stalker, died of a heart attack a week after breaking his leg at age 74. In 1975 he had a continuing role in the ABC-TV action series, Barbary Coast. Also in 2014, The Replacements performed on TV for the first time in 25 years when they appeared on NBC’s ‘The Tonight Show Starring Jimmy Fallon.’ The spot was ironic coming 28 years after The Replacements were banned for life from that network’s ‘Saturday Night Live‘ following a recklessly drunken (but entertaining) performance. In 2017, Don Ohlmeyer, the television producer and longtime NBC executive who guided the network’s West Coast division during its 1990s primetime heyday, succumbed to cancer at age 72. Also in 2017, ZZ Top held a benefit concert for the victims of Hurricane Harvey in Houston, the band’s hometown. Actor Philip Baker Hall (The Loop, Pasadena, Falcon Crest) is 87. Actor Greg Mullavey (Tom in Mary Hartman & Forever Fernwood) is 79. Actor Tom Ligon (Oz, Another World) is 78. Jazz vibrophonist Roy Ayers is 78. Singer Danny Hutton of Three Dog Night is 76. Singer Jose Feliciano (see 1945 above) is 73. Actress Judy Geeson (Gilmore Girls, Mad About You) is 70. TV host/author Bill O’Reilly (The O’Reilly Factor, Inside Edition) is 69. Guitarist Joe Perry of Aerosmith is 68. Actor Harry Groener (Buffy the Vampire Slayer, Dear John, Las Vegas) is 67. Actress Amy Irving (Alias, Once an Eagle) is 65. Actor Clark Johnson (Homicide: Life on the Street, E.N.G., The Wire, Alpha House) is 64. Actress Kate Burton (Scandal, Grey’s Anatomy, Rescue Me) is 61. Producer/director Chris Columbus is 60. Singer Siobhan Fahey of Bananarama is 60. Actor/voicist Jim Meskimen (Impress Me, Legend of Korra, Mad, Fresh Prince of Bel-Air) is 59. Actress Stacey Nelkin (Children of Divorce, Ride With the Wind) is 59. Actor Colin Firth (Pride & Prejudice, Turn of the Screw) is 58. Actress Miranda Wilson (Santa Barbara, Days of Our Lives) is 58. Singer-guitarist David Lowery of Cracker is 58. Actor Sean O’Bryan (The Middle, Persons Unknown, Brothers Keeper, Pig Sty) is 55. Fox News Channel anchor/panelist Patti Ann Browne is 53. Singer-guitarist Miles Zuniga of Fastball is 52. Drummer Robin Goodridge of Bush is 52. Guitarist Stevie D. of Buckcherry is 52. Actress Nina Repeta (Dawson’s Creek) is 51. Rapper Big Daddy Kane is 50. Actor Johnathon Schaech (Ray Donovan, Time of Your Life) is 49. Actor Tim Plester (Game of Thrones, Wolf Hall) is 48. Actor Larry Sullivan (CSI: Crime Scene Investigation) is 48. Actor James Duval (This is How the World Ends) is 46. Contemporary Christian singer Sara Groves is 46. Actress Sarah Danielle Goldberg (7th Heaven, Judging Amy) is 44. Actor Ryan Phillippe (One Life to Live) is 44. Actor Kyle Bornheimer (Family Tools, Worst Week) is 43. Actress Jacqueline Fleming (Bourbon Whiz, AHA) is 41. Seattle-born actor Jacob Young (The Bold and the Beautiful, All My Children, General Hospital) is 39. Bassist Mikey Way (My Chemical Romance) is 38. Powell River BC-born actress Lindsay Maxwell (Blackstone, Garage Sale Mystery, One Foot in Hell, Love on the Air) is 37. Actress Kathryn Zaremba (Sisters, Full House) is 36. Guitarist Matthew Followill of Kings of Leon is 34. Actor Harry Treadaway (Penny Dreadful) is 34. Regina-born actress Elyse Levesque (Cedar Cove, SGU Stargate: Universe) is 33. Singer Ashley Monroe of Pistol Annies is 32. Actor Dan Benson (Wizards of Waverly Place) is 31. Toronto-born, Vancouver-raised model/TV personality Coco Rocha (The Face) is 30. Actor Chandler Massey (Days of Our Lives) is 28. Actor Eddy Martin (Glee, Just Jordan, American Family) is 28. Actress Hannah Hodson (HawthoRNe, Happyish) is 27. Actor Mario Revolori (Rhett and Link’s Buddy System) is 24.